For the 2018 pool opening schedule, Parks and Rec has posted it here. Lawncrest Pool one evening in 2016. It opens for the season this Tuesday. 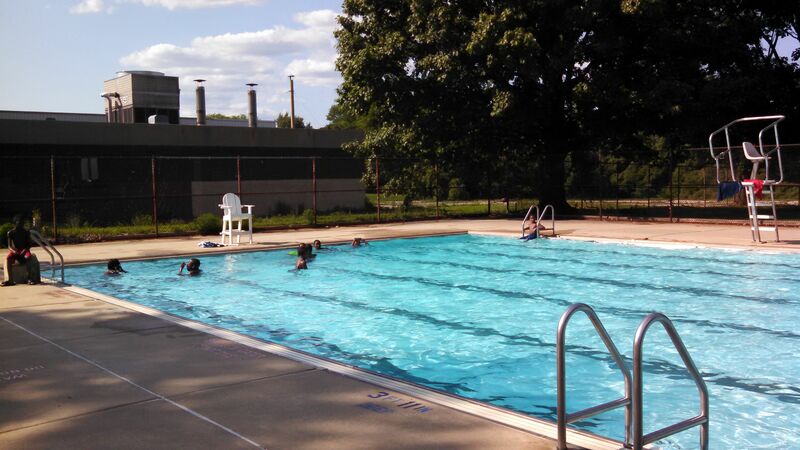 In some places, public pools start opening around Memorial Day. The weather these days suggests that would be a great idea here too — but we don’t even have enough staffing for the season we’ve got (which starts 6/20-ish). Do you know anyone who could work as a lifeguard this summer? As long as they’re going to be 16 by the time pools open, age does not matter. Parks & Rec has upped the pay to $13.65/hour. And are still — with only a few weeks to go — running a couple of training courses. I was super intimidated when I went to the Sayre-Morris Rec Center for lifeguard screening in the spring of 2013. I wasn’t sure I could pass. I wasn’t sure any pool would want to hire me. I did not understand that the City is desperate for lifeguards. And there are jobs. All over the city. Info on how to get screened (and therefore in line for a job placement) is here. And if you want encouragement or advice, I’d be glad to offer either. I don’t work as a lifeguard anymore (though I do have a non-pool-related City job, which lifeguarding put me on a path to). But I love nothing more than our pools in the summer, and the lifeguard shortage is one of the biggest threats to their future. So really: Do you know anyone? A friend stopped by to tell me about his search for pool opening info. “Why haven’t you posted it this year?” he asked. I haven’t posted it because there’s been no need! Parks and Rec is on the case. See here for the list of pool opening dates that, like last year, the City posted over a week in advance. This may not seem like a big deal, that a City department would let the public in on how to use the amenities it provides. But in this case? I started this blog in large part because basic pools info like this was so hard to find. Years past, in the weeks before pool season started, I’d be popping up at Parks and Rec facilities where I knew people, looking for someone who had the pool openings list, and was willing to share it. The list was not easy to come by. It existed only in hard copy. Many people didn’t have it. Some who did would let me look but not take it with me. Generally, securing a copy involved a meeting late at night, for a surreptitious hand-off of one single, precious, creased and faded sheet of printer paper. This phone call happened the day pools started opening. Later that day, I did find the list available deep within the City’s website. It was an electronic version of the previously described piece of paper. It listed pool names, but no addresses, intersections or other info that might help someone actually get to one. And this predated the helpful map Parks and Rec has since posted. To be honest, the fact that Philadelphia’s huge network of public pools operated with such stealth was part of its initial charm for me. Like so much in our City infrastructure, the pools relied on an oral tradition. People from a neighborhood knew their pool. They knew, or heard, or figured out when it was open for the activities they were looking for (and, to be fair, there were sometimes signs). For a non-native Philadelphian like myself, catching onto the secret felt like a step closer to really belonging here. I will miss the thrill of the hunt for opening info, to say nothing of the search for the pools themselves. But even more, I appreciate the leaps the City has made in communicating about these summer sites of wonderfulness. I am so excited for opening day on Thursday, and the two months thereafter, when there will be 69 more locations for immersion in calm cool chlorinated blue. There is nothing I love more at the end of a swamp-like city summer day. I visit the pools just about every evening during pool season. “You must be a really good swimmer,” people say. But most of the time I don’t swim, in the active sense of the word. I dip and I dunk and I float and I loll by the wall. Washing the worries of the day away. And soaking up enough refreshment to make it through another 24 hours. That all the pools are, in fact, opening (with the exceptions of Fishtown’s Lederer, aka the Swimmo, which had been leaking into the adjacent library’s basement, closed early last year, and is now undergoing renovations, and North Philly’s always-elusive Hartranft, an indoor pool, and the only one in the system I’ve yet to swim across). It wasn’t that long ago that Michael Nutter shut most of the city pools (as well as many libraries and fire stations), some of which never re-opened. 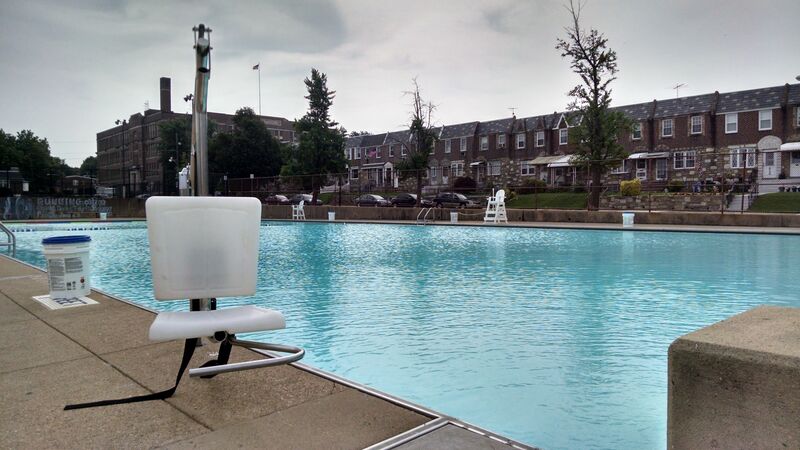 Residents of other cities are still fighting to keep pools open, as Philadelphians did in 2009; luckily, for the past few years, we have not had to. In fact, one of the pillars of the current mayoral administration is investing in our recreation centers, parks and libraries, and it sounds like City Council has finally approved a way forward. 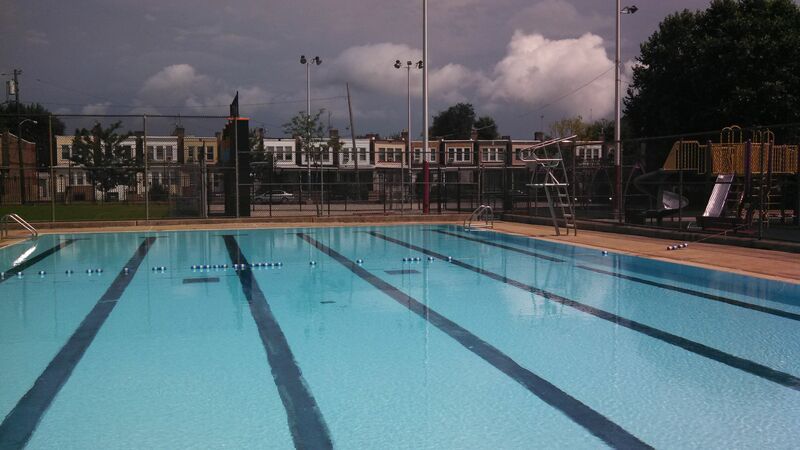 Parks and Rec’s Swim Philly Program is back at Francisville, Lawncrest, Lee, O’Connor, and Pleasant Pools. 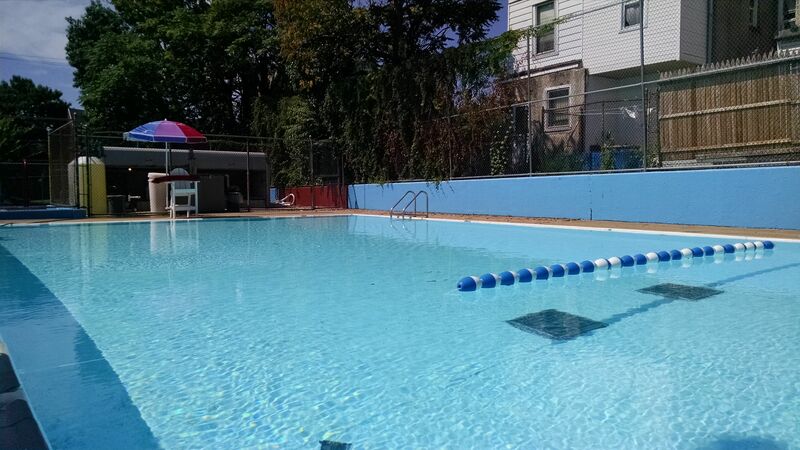 And at least two other rec centers have taken it upon themselves to give their pools the ‘Pop-Up Pool’ treatment: Marian Anderson in South Philly, and one other, which I promised the site staff I wouldn’t name, but which I highly recommend going in search of! Last summer, lifeguards at Bridesburg and Shuler also mentioned potential repairs, so I’ll be interested to check out what happened. And each pool’s schedule is now available online (again, a bigger deal than it may sound, given that Comcast’s promise to outfit our rec centers with internet access has not yet come to pass), making it easier to check out ways communities have been maximizing their pools’ potential since well before it got trendy to talk about what the pools “could be.” Case in point: The free 6pm water aerobics class Ms. Nancy‘s been running at Strawberry Mansion’s Mander every Monday-Friday for the past 16 years! My plan this summer is to get back to writing pool profiles (the last one I did, about J. Finnegan, appears to have been two years ago now), returning to West and Southwest Philly. I will miss running into Water Safety Instructors Larry Brown, who retired last summer, and Herb Brown (no relation), who passed away over the winter. Between them, I’d guess Larry and Herb had a hand in training many if not most of the thousands of lifeguards who’ve worked for the City in the past few decades. I know I will never forget my training with either of them. Rest in peace, Mr. Herb. 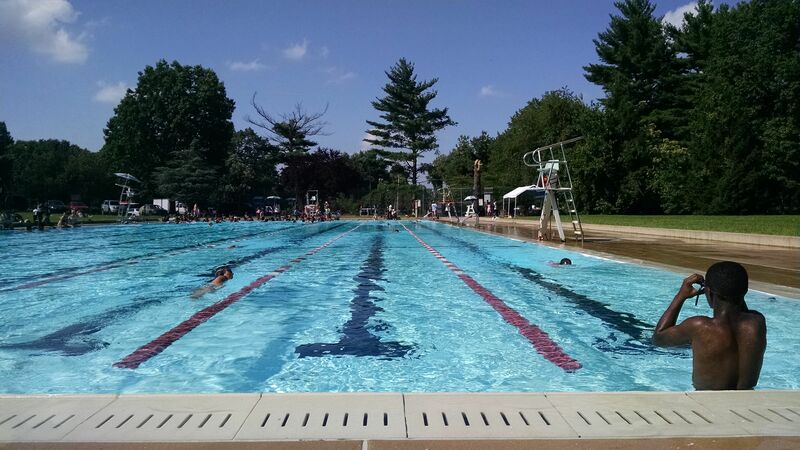 The Philadelphia Department of Parks and Recreation posted specific pool opening dates yesterday. Thirteen days before the pools are set to start opening. With pool locations. (Map here.) This is a serious culture shift. This is amazing. Meanwhile, I believe I heard at City Council the other day that not only is the sugary drinks tax (which would make it possible to fix up rec centers, among other community needs) moving out of committee (to a final vote next Thursday), but that Council President Darrell Clarke recommended that some of the revenue from it go to Parks and Rec staffing as well. I can’t find written confirmation of this anywhere, but here’s hoping. In Center City (at 26th and South): My first pool, my love, the place where this website was born. Already called “the Taj Mahal” and “the Country Club” by people who work at other City pools, O’Connor Pool + Pop-Up Pools is going to give private swim clubs a serious run for their money. Which I suspect is the point. 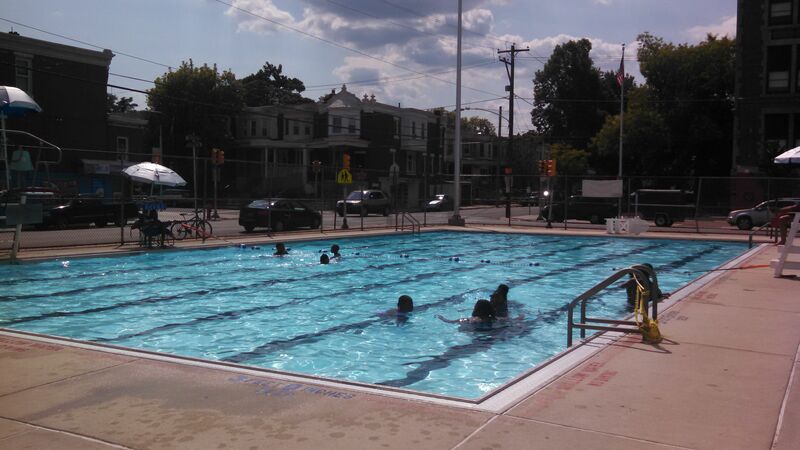 In West Philly (at 44th and Haverford): Lee Cultural Center is the true Philly public pool lover’s pool. When I begged Ms. Thelma, who trained me to be a lifeguard, to name a favorite pool other than her own, she conceded Lee. Head lifeguard Boston Berry is a legend – he trained the people who now train people, from beginner’s strokes up through lifesaving. In the lower Northeast, near Olney (at Rising Sun and Comly): This is not Lawncrest‘s first shot at swagger. Will the intricate walk-through sculpture that lightning turned into a permanent hazard zone get revived for the Pop-Up? I am excited to see. And at any rate, the pool’s big. In Mount Airy (at Boyer and Pleasant): Pleasant Playground lives up to its name. It’s a family spot. In terms of the Pop-Up locations, it’s probably the smallest, with the least feel of being tucked away. 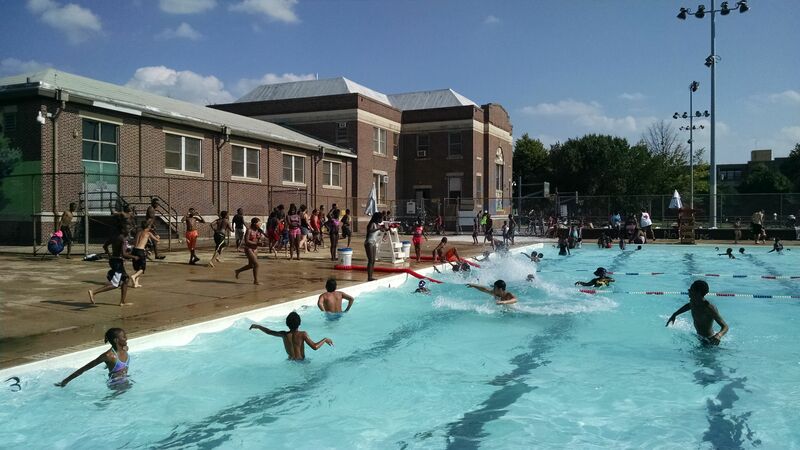 Which makes it representative of many of our less lauded, but equally vital, Philly public pools. And back in lower North Philadelphia (at 18th and Francis): The poor man’s infinity pool, Francisville will Pop-Up again. It’s shaping up to be a wonderful summer. Pool season is a week longer this year! I don’t know why this is, but I suspect that it’s more likely to happen again in future years if we take advantage of it now. Kelly (in Fairmount Park, next to the Please Touch Museum): The biggest, not to mention the only pool in the system with grass, inside the pool deck, that you may lie on. 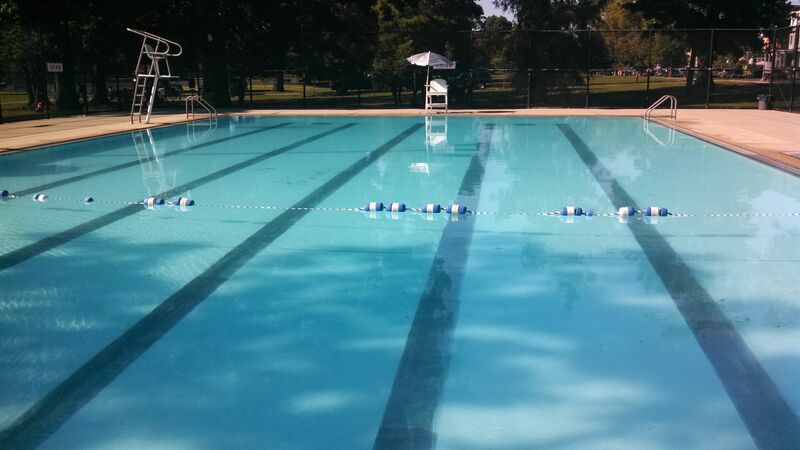 Weekend hours: Lap swimming 12-4:45pm; open swim Sat 12-4:45pm; family swim Sun 12-4:45pm. Weekday hours: Lap swimming 11am-6:45pm; open swim 1-4pm; adult swim Mon, Wed, Fri 5-6:45pm; family swim Tue, Thu 5-6:45pm. Mander (on the edge of East Fairmount Park, at 33rd and Diamond): I was in lifeguard training with longtime guard Reina and would trust any member of my family’s life in her hands. She may have gone back to school at this point, but her mother, head lifeguard Nancy, runs a tight ship as well — and leads water aerobics during adult swim. 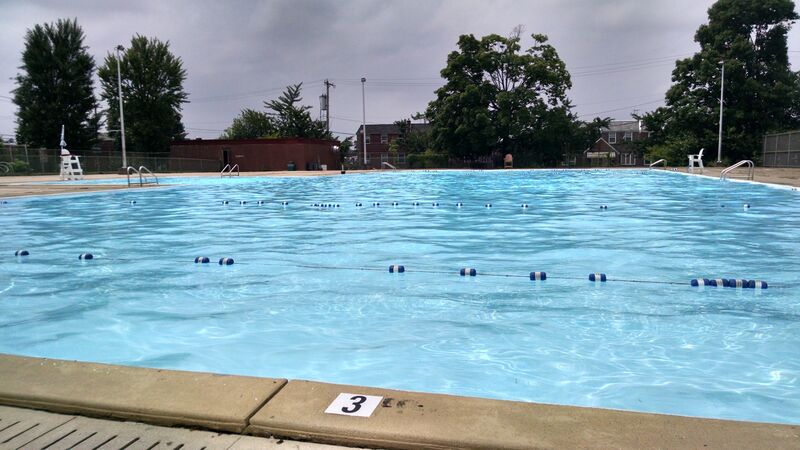 Vare (at 26th and Morris in South Philly): If you love to swim and live South, it’s wise to familiarize yourself with Vare, which is usually the area’s first pool to open and last to close. Its spirit harkens back to the early days of public pools, when working-class boys turned reformers’ baths into joyful, raucous playgrounds. Max Myers (at Hellerman and Horrocks, just north of the Boulevard off Bustleton in the Northeast): Representing the opposite end of the rules spectrum from Vare. As long as you expect to shuttle back outside of the pool gate every 45 minutes, this large, T-shaped pool is a lovely place to spend a day — especially if you snag some deck space next to the veggie garden. Waterloo (at Cumberland and Waterloo in Kensington): A true neighborhood pool. Small and hemmed in, but somehow here that feels cozy rather than cramped. Ask the staff about their rec leader, Anthony Washington, if you want to inspire yourself to be a better person. Awbury (at Ardleigh and Haynes, by the Awbury Arboretum in Germantown): It’s cooler up here in the trees, and there are benches to sit on. I’ve had more experiences arriving at this pool to find it closed than I wish to remember, so if you’re coming from another part of the city, maybe call first. Feltonville (off Wyoming between A and B, a few blocks south of the Boulevard): I’m excited this pool will be open, as I haven’t swum here since 2013 and am looking forward to making it back. Feltonville (which rumor has it is an especially well-run rec center) is generally the pool with the longest season up this way. Vogt (at Unruh and Cottage, in the Tacony section of the Northeast): Another large, T-shaped pool in the Northeast. Vogt’s schedule has something for everyone. And it’s sort of charming how the staff climb through a hole in the rec center wall to get out to the pool. Christy (at 56th and Christian in West Philly): Extremely easy to find, right there on the corner. Where Mayor Nutter swam as a kid.